Just as Major General Albert Stubblebein, USA (ret. ), was in charge of all US military intelligence during his career, Dennis Cimino was the Navy’s top electronic’s “trouble shooter” and is among the most knowledgeable experts I know about technical aspects of 9/11.Between my interview with the general (about the faking of all four “crash sites”) and this interview with Dennis Cimino (about who was responsible and why), the public has access to about 95% of what is known about the events of 9/11, which were brought to us compliments of the CIA, the Neo-Cons in the Department of Defense, and the Mossad. FLIGHT 93 memorial (Shanksville, PA). 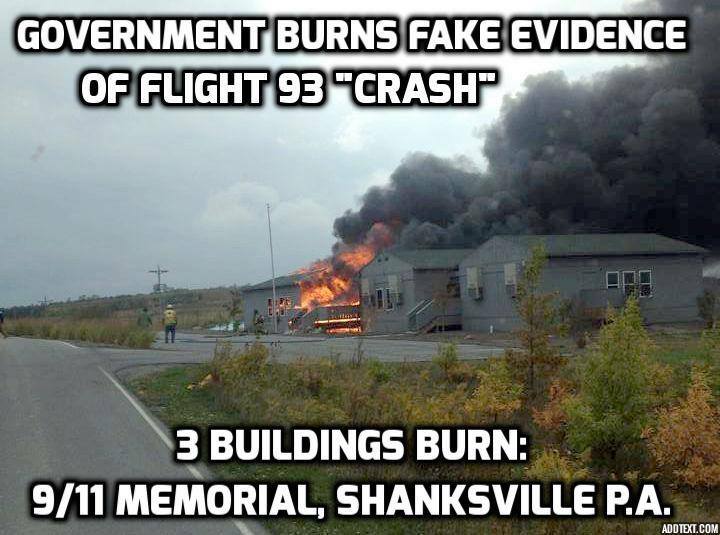 3 buildings BURNED to destroy fake CIA-forged documents carried by "passengers." 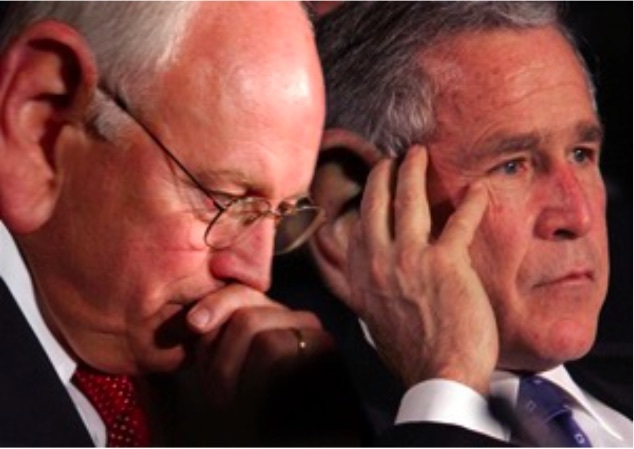 Isn't it significant Bush told us "never tolerate outrageous consp. theories"?–and isn't it because, very simply, that's precisely what it is–an OUTRAGEOUS conspiracy? After all, we KNOW the official gov. consp. theory is false on its face–up to 9 or 10 of the "Arab" hijackers turning-up alive, just for one detail. And we know further many other details indicating complicity of numerous officials, judges, and then the mass. corp. "news" media. So the material is there to substantiate the inductive conclusion for outrageous conspiracy. Therefore isn't it most appropriate to form a "theory" that grasps and engrosses such an outrageous conspiracy?–what would that be?–wouldn't it be that principle which most entails and under-lies all possible, conceivable criminal activity?–the satanic principle? So what then is satanism?–it's making oneself God the creator, right?–and that's extreme subjectivism, right?–whence all reality issues fm one's own mentality/consciousness. Finally, who are most organized, "connected" subjectivists?–these being serious subjectivists and even satanists–they would have to be most tightly "connected," hence COLLECTIVISTIC, right?–and who then are more organized and connected than Jews, right?–NOT just "zionists," but Jews, people who take devilish Talmud seriously. And isn't it significant everyone is so absolutely terrified to thus naming these Jews?–including Fetzer. And isn't it significant practically everyone, even among known and prominent "consp. theorists," are so terrified to naming the Jews? And those who DO name the Jews are vilified and slandered, condemned as the very lowest of the low? ho ho ho ho. So there u are folks: an "outrageous consp. theory" which, however, is perfectly true and verifiable for all necessary details. Q.E.D. In yet other words, the hint for proper consp. theory for 9/11 is given in same way as the famous film of the husband caught by his wife w. another female. So what did the film's husband contrive to resorting to do?–he told his wife that the other woman was not really there, was mere "figment of her imagination." And so this, as in above example of the cheating husband, is very much what has happened in case of 9/11, as specifically w. George Bush's telling us about "outrageous consp. theories." Of course, diff. is Bush and his puppet-masters planned it all out–he wasn't caught un-aware (though maybe Bush himself was, ho ho ho) by someone suddenly coming upon the scene of the crime and then frantically resorting to assuring us it's all "under control," "nothing to see here," etc. The 9/11 plan and psy-ops necessarily included TOTAL control of the mass-corp. "news"-media going along w. it all, naturally. The 9/11 criminal conspiracy was thoroughly thought-out psy-ops including Bush's hypnotic command to "not tolerating outrageous consp. theories." For it was and had to be quite outrageous for the 9/11 actual events, no matter how one understands it all for the details. Thus the satanic nature of the plot and people behind 9/11 is really quite plain as it ought to be. And people are rather encouraged and trained to fighting one another over mere details (a) regarding the reality of the conspiracy in the first place, many still going along w. Israel, including all the establishment "news-media," and politicians. But then further, (b) there's the deliberate fomenting of controversy over details like whether it was thermite, or nukes, or directed-energy; whether there were actual planes or not, etc. Further still, the diversion/distraction cannot and must not end–there are now all the spectacles about the various hoax shootings happening, as at Sandy hoax, Charleston S.C., and all the others too. Fukushima disaster cannot be ruled out as yet another deliberately contrived disaster, horrific as it is. Not least of all is the fraud of the very President of USA himself, not "natural-born," now compounded in the Republican party w. no less than three (Cruz, Rubio, and Jindal) non-natural-born charlatans, the present President additionally married to a transgender. Then US Sup. Ct. comes in w. yet another obviously illegal ruling about gay-marriage, further assaulting the culture formerly founded so solidly upon Christian principles. And the pt. then is to keep the suckers continuously distracted and diverted–which is what's been happening so well–"bread and circuses" is all the people want, as is so well-known. All the disasters and "controversy" become merely macabre entertainment. Meantime laws are passed for forced vaccinations which will kill people on a mass-scale; GMO poison foods are imposed in all the various ways, and in this satanic manner the master-minds steadily secure their absolute control, dictatorship, and SATANIC victory of extermination over a completely de-humanized people. Place Of Alexei Jones In satanic Scheme: "Limited Hangout"
So now what can we say about the function of such as Alexei Jones (InfoWars.com)?–Jones is same old strategic deception and dis-info, as in form of "limited-hangout" for Jew satanism, Jones pretending there are "good" Jews–like there are good satanists, good psychopaths, and good-Christ-killers. Thus Jones maintains disguise of satanism and subjectivism in specific way of false and non-existent "good-evil" (Pelagian heresy in Christian theology, as of St. Augustine), classic basis and foundation for general cultural subjectivism–which top satanists merely practice to ultimate extreme. The limited subjectivism of the large population is what allows for existence of the extreme-subjectivists and satanists (and Jews). Additionally, Jones plays the game of "good-cop vs. bad-cop" in way of pretending there are good Jews, the only "bad" Jews being "leftists" and "globalists," thus further confusing the nature and meaning of Christianity, which is anti-Semitism (Gosp. JOHN 8:44). So Jones keeps poisoned the true meaning of Christianity, pretending it's mere version/variation of Judaism (= satanism). For Christianity is worship of TRUTH (hence objectivity) above all/any other precept(s) (Gosp. JOHN 14:6), against Jew lies (JOHN 8:44). Interesting thing is Jones probably believes his own propaganda as the most powerful faction of Jews surely are the "leftists," the "rightist" "neo-cons" for Israel being mere recent phenomenon, stemming fm 19th cent. And these "neo-cons" are ones surely backing Donald Trump–perhaps they imagine they want to keep some gentiles around to doing their work and fighting–not wanting to exterminate all gentiles as the leftist Jews do. Irony and hypocrisy of Jones is he's so loud and pushy pretending he built his own business. But of course if he even began to speak real truth about Jews and their filthy Talmud, he'd disappear immediately, suffering no less than David Duke. (a) First and most, by pushing "good-evil" delusion heavily as he does, he legitimizes and reinforces subjectivism, thus satanism, though he's not bright enough or philosophic enough to see or even care about this. (b) He poisons and keeps confused Christianity, pretending it's mere version/variation of Judaism (= satanism). (c) He pretends and insists there are good Jews (satanists). Outstanding video — best I've seen on the subject in some time. Two people with extensive knowledge discussing the many aspects of 911 without getting bogged down in unnecessary details or going off on tangents. Great job, Jim & Dennis. re: Bush's "outrageous conspiracy theories" comment in The Real Deal openings… What he is actually saying is "Let's never allow any dissent or anybody to question the official word on anything." This is Unconstitutional. He is threatening people who exercise their freedom of speech rights under the First Amendment. Why would there be any concern over "outrageous conspiracy theories" unless there were something to hide? If they really were "outrageous conspiracy theories" then they could be easily dismissed or ignored. Why would he feel the need to include such a statement in a speech, unless there was a fear of "outrageous conspiracy theories?" Why would he threaten Americans for using their freedom of speech? Yes indeed, precisely my pt. (regarding "outrageous consp. theories)–because that's precisely what it was, an outrageous consp., truly satanic. The satanism itself was specific item I wanted to explore. Brilliant. Orher than the intrinsically cognitively dissonant who scream and yell but refuae to listen to facts, i have turned a few friends around on this issue. I got into Fetzer when i first started following jack white and his incredibly detailed analysis of the Z film and Jim has been blowing me away ever since. Looking forward to a breakdown of the Roanoke nonsense false flag… Hope its upcoming… And hey, lets take a look at the Lincoln, Garfield and McKinley assassinations! I doubt its EVER been a lone nut! Anon: the Lincoln assassination is known and proven consp. for which the players were duly tried, convicted, and executed–ck Wikipedia or any other similar source. I agree there were probably conspiracies for Garfield and McKinley too. Roth establishes Flight Termination System was in place and effect on 9/11–so therefore no planes crashing into bldgs could possibly have taken place without ZOG's assent. I think we had better find a better term than just "Jew", simply because most Jews aren't involved in this criminality. I''m old enough to remember when all Italians were suspected of being Mafiosi…so enough! "Ziocons".or "Khazarian Mafia" work. There must be others than will work too without smearing the innocent. Just more dis-info. And just HOW do u know "most Jews aren't involved…"?–u couldn't possibly know this. And it goes to show how easily dis-info is spread by people without a clue–or PRETENDING to being clueless. Note Jew is defined as Talmudist or one of the race of Talmudists. And all one needs do is find-out what Talmud teaches–see Talmudical.blogspot.com. Jews must and will be held responsible for this Talmudism and satanism. If there's a Jew of race not knowledgeable of the religion, then they need to finding-out and repudiating it–it's their responsibility. There's no good Jew anymore than there's good satanist, good psychopath, good Christ-killer. No decent person would call themselves "Jew," Jews rightly hated by all humanity throughout history, Jews having been kicked-out of practically every country on earth. And of course it's classic false analogy to compare Jews w. Italians, obviously. For Judaism is satanism, and it would be like comparing satanism w. being French or Algerian. Using the word, "Jew," actually works perfectly, and note how we catch dis-info agents, like above "anon," another one making excuses for satanic monsters called Jews. And one must admit there's a great number of suckers who insist gentiles must make every excuse for Jews–that it's "moral" obligation–but then this simply causes one to examine morality. For the false "moralism" of non-existent "good-evil" is much at the root of hubris and toleration of this monstrosity of satanism presently rampant and raging throughout the society. As for as "good" Jews, so also does many, probably most including Jim, and Dennis, in the 'truth' movement proclaim there are, including Rebekkah Roth and Kevin Barrett, etc., etc., etc. Yes, Rebekkah and Kevin are on record saying that there are good jews, even that most jews are good.